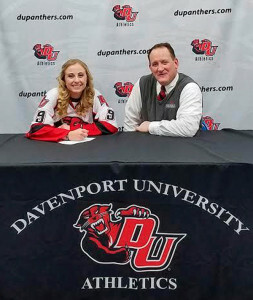 Tag Archive | "Health Information Management"
Our congratulations to senior Jessica Plowman, who signed with Davenport University’s ACHA Division 1 Women’s Ice Hockey team on February 11th, 2017 for the upcoming season. Jessica is currently playing for the U19 Grand Rapids Griffins Girls Travel Ice Hockey Team. She was voted by her teammates to be their Team Captain for the 2016-2017 season. Jessica has played both defense, offense and center. While at Davenport, Jessica will be pursuing a bachelor’s degree in Health Information Management, and go on to possibly become a cardiothoracic surgeon. 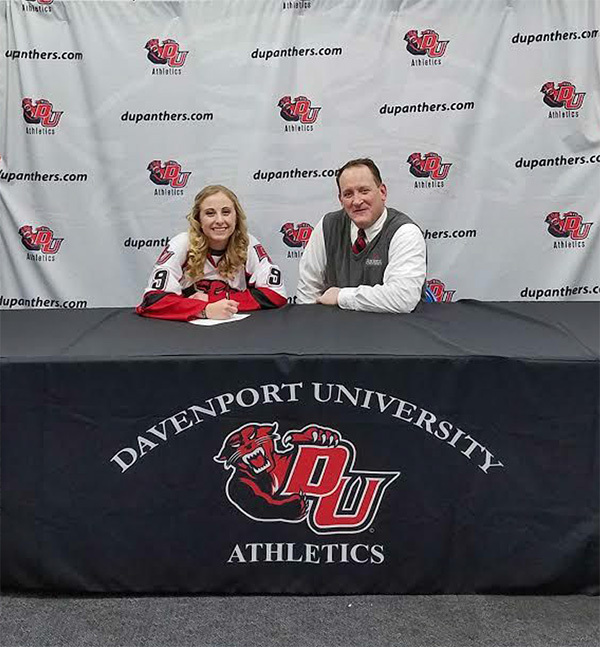 She is excited to continue her education and hockey career at Davenport and is thankful for the support of her family and friends. 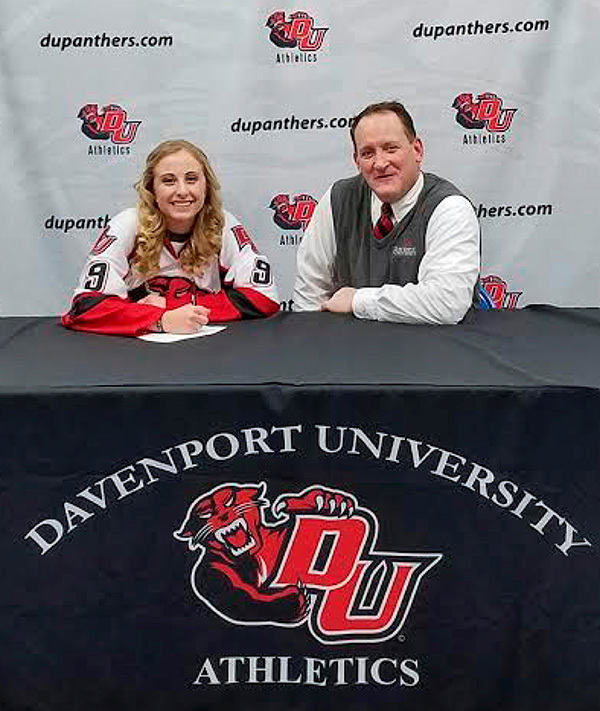 Our congratulations to Cedar Springs senior #19 Jessica Plowman, who signed with Davenport University’s ACHA Division 1 Women’s Ice Hockey team on February 11, 2017 for the upcoming season. Jessica is currently playing for the U19 Grand Rapids Griffins Girls Travel Ice Hockey Team. She was voted by her teammates to be their Team Captain for the 2016-2017 season. Jessica has played at the U19 level for the past 3 out of 4 years with GRAHA (The Grand Rapids Amateur Hockey Association). Prior to that, she played roller hockey for 4-5 years. Jessica’s love for this sport has far superseded all others. Jessica played travel soccer for three years, four years of basketball (including travel), nine years of dance, two years of tennis, and was on the Red Flannel Court for 2015-2016. Ultimately she gave up all other sports for her love of ice hockey. Jessica has played defense, offense and center; she is truly a team player and willing to step in wherever needed. While at Davenport, Jessica will be pursuing a bachelor’s degree in Health Information Management, and go on to possibly become a cardiothoracic surgeon. She is excited to continue her education and hockey career at Davenport and is thankful for the support of her family and friends. Jessica is the daughter of Joe and Lisa Plowman.